Jesus was a Nazarite like his cousin John the Baptist. When Mary came to visit John’s mother, she sings Hannah’s Song in praise of John who was a Nazarite while in his mother’s womb. John is already born, and is an infant. Upon beholding John, the unborn Jesus leapt in Mary’s womb, and is filled with the Holy Spirit of the Nazarite. He too will be a Nazarite for life. When fermented grapes was forced in his mouth, so a prophecy would come true, Jesus says “It is finished!” meaning his vow, and he gives up the Holy Spirit of the Nazarite, and dies. There was no Nazareth. The story has been altered. Jesus was BORN A NAZARTIE. The Holy Spirit he and John owned, was the presence of the same UN-NAMED Angel that came to the parents. I suspect I am that angel. On this day, October 31, 2014, I accept the challenge of Abu Bakr al-Baghdadi, to come to Syria and fight the War of Armageddon. 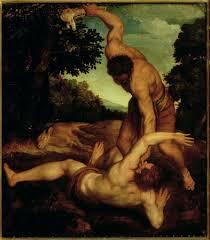 I will raise the 9,000 year old warriors near Nazareth to be by my side as I wrestle Abu Bakr with my bare hands. I will own the strength of Sampson. I will rip out his jaw and beat him to death with it while his evil Jihadists look on! Someone has to answer the challenge from Abu Philistine. Erdogan is a coward-traitor who keeps denying the importance of Kobane that is now s symbol, a Pillar of Freedom, that Abu Bakr recognizes, and is intent on destroying because he sees it as the Battle of Armageddon – and is losing! 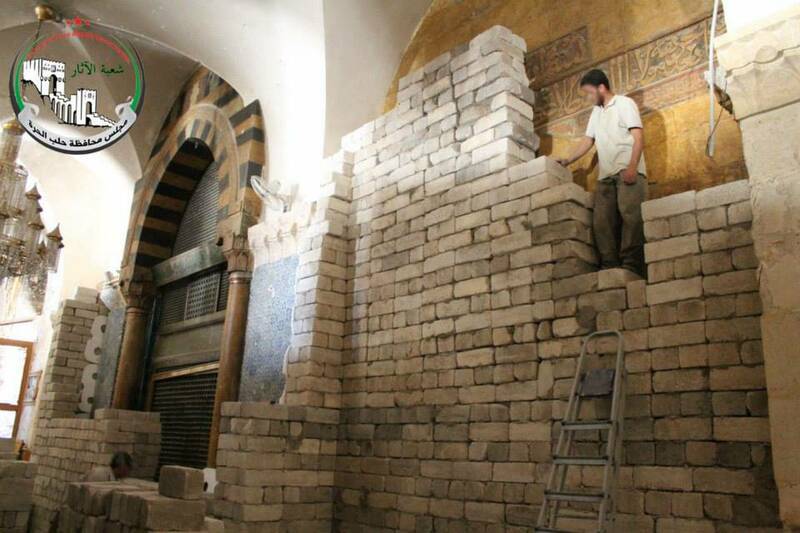 For destroying the Mosque that holds the remains of Zachariah, John’s father, with the strength given to me by God/Allah, I pull down the pillars of the false caliphate of the new Philistines. 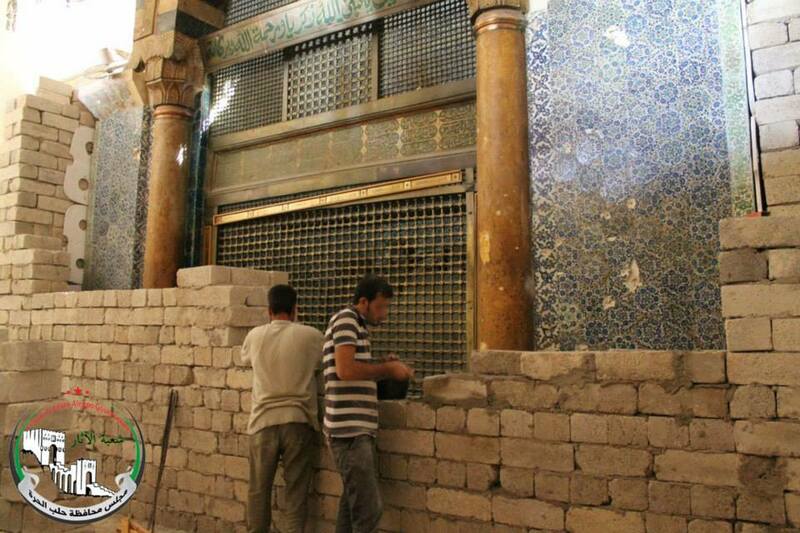 “Aleppo’s Great Mosque, founded in the early 8th Century, has come under heavy fire. Its 50m-tall Seljuk minaret, a masterpiece of elegance dating from 1095, was considered one of the most important monuments of medieval Syria. It was built in the grounds of the 6th Century Cathedral of St Helena – inside is the tomb of the Prophet Zachariah, father of John the Baptist (who is buried in Damascus). Why Kobane? And why not other towns like Idlib, Hama or Homs, or why not even Deir al-Zor?” Erdogan said in Paris on Friday after talks with President Francois Hollande. 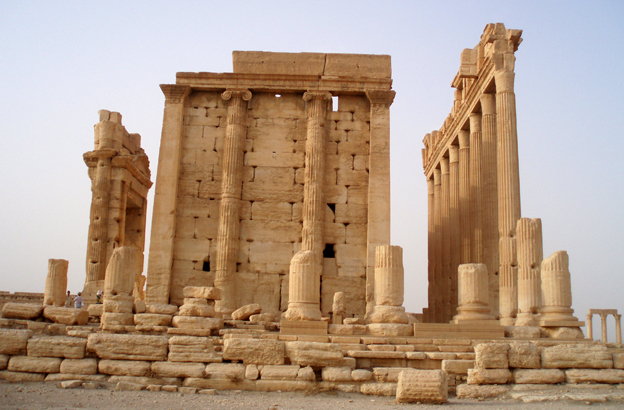 The cost of war is typically measured in terms of dollars and dead, but there is another price that is paid in war torn lands: historical treasures are often destroyed. Such was the case recently in Deir ez-Zor when ISIS fighters destroyed the Holy Martyrs Church. The church held the remains of many Armenians who died on a forced march when Ottoman Turks relocated them to the city. Americans can compare the event to the Trail of Tears. The Turkish genocide of the Armenian people started in 1915, but even after almost 100 years the wounds are fresh and the church served as a bandage to many. It was a location where Armenians could mourn their dead and remember the genocide of their people. Estimates place the number of Armenian dead at around 1.5 million. The church is now lost to winds of war. 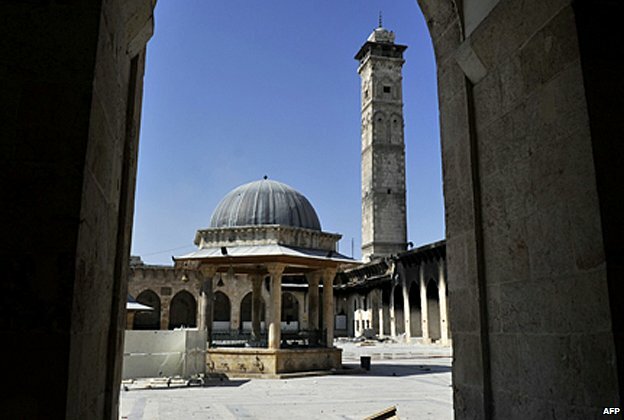 The Umayyad Mosque in Aleppo has also been mostly destroyed during the war in Syria. 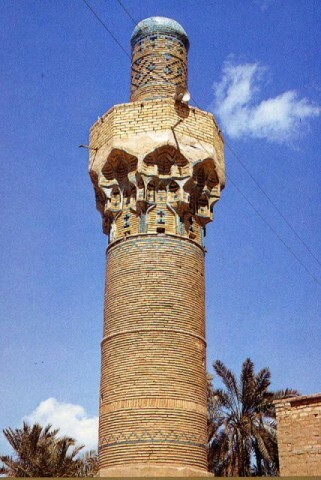 The minaret of the Mosque was about 1000 years old. It crashed to the ground in 2013. A structure that was around when Macbeth murdered Duncan is now lost forever. 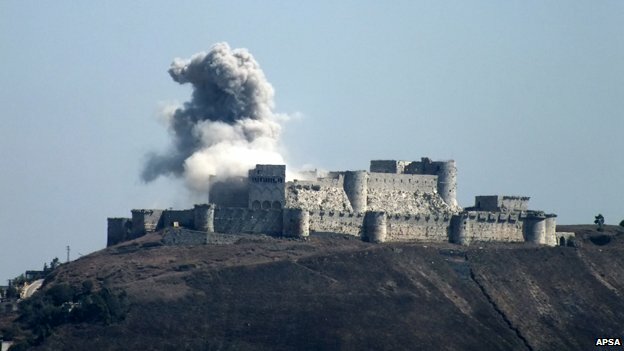 The Crac des Chevaliers, a castle built in the time of the Crusades, has been used as an observation post by the Free Syrian Army and shelled repeatedly. 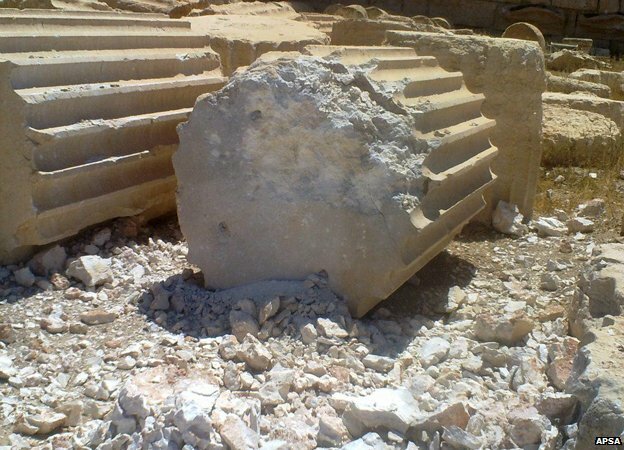 Walls have collapsed and the castle’s current structural state is unknown beyond the fact that satellite photos reveal damage in several locations. While it may be hard to muster the energy to care about the loss of a few ancient structures when there are hundreds of thousands of wounded and dead, it may be worth asking ourselves a simple question: if we are willing to encourage the destruction of some of the longest-lasting achievements of humanity for the sake of profit or political gain, is the society we are fighting to protect really worth protecting? 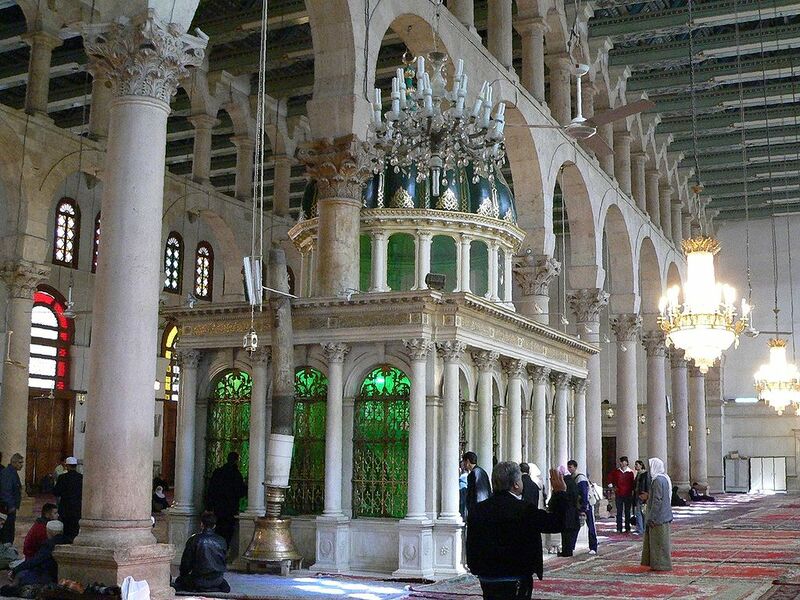 The Imam Yahya Abul Qasim Mosque in Mosul is an Umayyad Mosque that was built by the architect Utba bin Farqad Al-Salami around 640 AD with remarkably elaborate brickwork and a height of 52 meters. Image credit – Iraqi Ministry of Tourism and Antiquities. Mosul (IraqiNews.com) According to a security source in Nineveh province the terrorists of the organization of the Islamic State in Iraq and the Levant looted and then detonated the mosque of Imam Yahya Abu al-Qasim in the area of Achifa, western of Mosul. 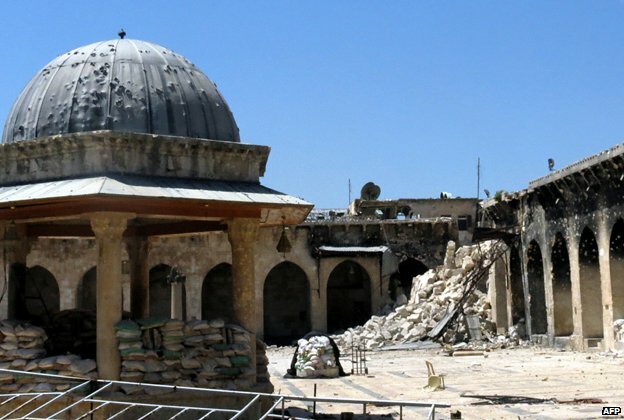 Further north, Aleppo’s Great Mosque, founded in the early 8th Century, has come under heavy fire. Its 50m-tall Seljuk minaret, a masterpiece of elegance dating from 1095, was considered one of the most important monuments of medieval Syria. It was built in the grounds of the 6th Century Cathedral of St Helena – inside is the tomb of the Prophet Zachariah, father of John the Baptist (who is buried in Damascus). Filled with snazzy graphics and printed in English and other languages, the magazine is being used as a recruitment tool by the terror insurgents to enlist and radicalize foreigners around the world. The Islamic State, which has an estimated 12,000 foreign fighters from 74 countries, also employs Dabiq to promote its violent campaign to defeat the “Romans” or “crusaders” from the West, who are symbolized by photos of President Barack Obama and Arizona GOP Sen. John McCain. To ISIS, their version of Armageddon happens in Syria at a place called Dabiq. 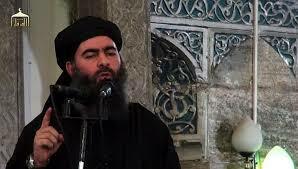 Abu Bakr al-Baghdadi, (Arabic: أبو بكر البغدادي‎), known to his supporters as Amir al-Mu’minin, Caliph Ibrahim is emir, proclaimed as caliph, of the Islamic State of Iraq and the Levant (ISIL). ISIL is an Islamic extremist group in western Iraq and north-eastern Syria, self-described as the “Islamic State”. He was formerly known as Abu Du’a (أبو دعاء). Claiming descent from the Islamic prophet Muhammad, he is called Abu Bakr Al-Baghdadi Al-Husseini Al-Qurashi (أبو بكر البغدادي الحسيني الهاشمي القرشي). On 4 October 2011, the US State Department listed al-Baghdadi as a Specially Designated Global Terrorist and announced a reward of up to US$10 million for information leading to his capture or death. Only the leader of al-Qaeda, Ayman al-Zawahiri, merits a larger reward (US$25 million). The Holy Prophet Zachariah and the Righteous Elizabeth were the parents of the holy Prophet, Forerunner and Baptist of the Lord, John. They were descended from the lineage of Aaron: St Zachariah, son of Barach, was a priest in the Jerusalem Temple, and St Elizabeth was the sister of St Anna, the mother of the Most Holy Theotokos. The righteous spouses, “walking in all the commandments of the Lord (Luke 1:6), suffered barrenness, which in those times was considered a punishment from God. Once, during his turn of priestly service in the Temple, St Zachariah was told by an angel that his aged wife would bear him a son, who “will be great in the sight of the Lord” (Luke 1:15) and “will go before Him in the spirit and power of Elias” (Luke 1:17). Archaeological research has revealed that a funerary and cult center at Kfar HaHoresh, about two miles (3.2 km) from current Nazareth, dates back roughly 9000 years to the Pre-Pottery Neolithic B era. The remains of some 65 individuals were found, buried under huge horizontal headstone structures, some of which consisted of up to 3 tons of locally produced white plaster. Decorated human skulls uncovered there have led archaeologists to identify Kfar HaHoresh as a major cult centre in that era. Accompanying grave goods include a sickle blade and a sea shell, while a concentration of some 60 other shells were found nearby. The sea shells provide evidence for extensive exchange networks from the Mediterranean and Red Seas. Symbolic items include small plain or incised tokens. An entire herd of cattle was also found buried nearby. While fertility symbols during this period are often associated with female imagery, at Kfar HaHoresh only phallic figurines have been found to date, including one placed as a foundation deposit in the wall of the precinct. Exotic minerals found at the site include malachite from south of the Dead Sea, obsidian (natural volcanic glass) from central Anatolia, and a votive axe on serpentine from either Cyprus or northern Syria. 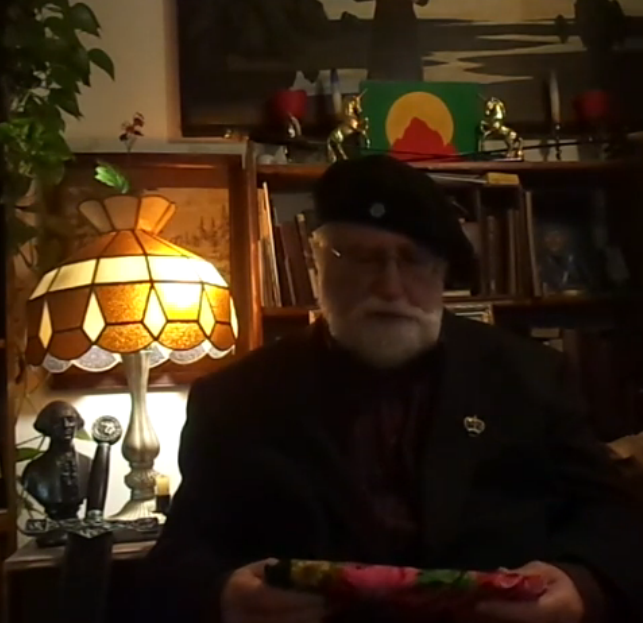 “Cultic artifacts, installations and their contextual associations attest to intensive ritual practices in the area,” says Prof. Goring-Morris. Burials at the site now total at least 65 individuals, and display an unusual demographic profile – with an emphasis on young adult males. Graves occur under or associated with lime-plaster surfaced L-shaped walled structures, and are varied in nature from single articulated burials through multiple secondary burials with up to 17 individuals. Bones in one had been intentionally re-arranged in what appears to be a depiction. 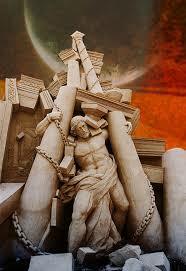 He brings down to [d]Sheol and raises up.